Choosing and purchasing a domain is like deciding to get married. It’s an important decision that definitely deserves some attention. In fact, since you need time and money in creating a website, you have to be sure that your domain expresses in a few words the content that you treat. The choice of the domain has an impact both in the way visitors perceive you and how the search engines will consider your site. So if you want to choose and buy the right domain, I suggest you read this list carefully. So before going on HostGator and getting your hosting plan (or any other provider of domains), here’s what you need to know. If you treat topics regarding “green tea”, for example, the rule should not be www.ILikeToDrinkTea.com, but rather www.GreenTea.com. If this name is not available, you can try other versions of it. Unless you are the owner of a known brand, it will be difficult to create a new one from scratch and push it out, just by focusing on the domain name. So if you are creating a site around a specific topic, you have two options. When it comes to better indexing, the domain plays a very important role. How do I look at my potential visitors? What keywords would they use to find me at Google? Then go to Google Adwords Keyword Planner and performs a search to locate the most used and relevant keywords. Now think about how to include them into your domain. .com extension is the web’s most popular extension. Clearly it indicates the word “commerce”, so it is definitely the ideal extension to communicate to your users on your site that there are products on sale. Get the .com, if it is possible or, in alternative, choose any .net or .org. NoPassiveIncome is kinda a short and direct domain name. It tells that the site is about passive income. I could have chosen www.HowToWorkOnlineAndBuildAPassiveIncome.com, but it would be too long, unreadable and difficult to remember. Better to be short and get straight to the point. If your visitors find your site interesting and helpful, there’s a good chance they will want to go back. Choose a name that is easy to write, as well simple to remember. Imagine if your main site would be: www.xzbnahtypals.com … definitely hard to type on the keyboard and difficult to remember! It could be the biggest mistake. Be careful not to use a name similar to that of a competitor to try to steal its market. You could even end up in court and having to pay expensive fines. Play fair and points to what your users are looking for. Even a domain has its aesthetics. Ask yourself how you can see it when it is written on a browser. Make attempts writing on the search bar of your browser the domain name you would like to buy. This way you’re sure that you will choose the more attractive one! If you want to create a successful site that will resist the passage of time, consider choosing a domain that is not strongly tied to the momentary trend. Make sure that in 10 years your domain will be recognizable and current. Unless you’re a business magnate with a million euro budget available to spend on advertising, keep faith to the basics of good web marketer. Focus on one niche and conquer it. Long-tail keywords work best for this purpose. It makes little difference for the SEO purposes if your domain targets your niche using a plural instead of a singular. So if one is already taken, you may want to opt for the opposite. But pay attention to copyright! Avoid buying domains including articles (the, a, an, etc). These do not serve the purpose of better search engines indexing. Also think about how your domain will be perceived. Simply avoid articles in domain names. They are useless. Is is better “TheFacebook.com” or “Facebook.com“? 13. Need a Tool to Get New Domain Name Ideas? Have you ran out of ideas? If you choose a domain name and you want to make sure that no one else can create a site similar to yours, you should consider buying all the variations of your domain name (plus all the extensions). Defend your site by blocking the access to roads of your niche for other potential contenders. Again, if you have an unique name that you don’t want to be used by others (and if you are doing things seriously), be sure to immediately record the trademark of your site or brand. When choosing your domain think about those who come to visit you. What do they expect you to be? Who are your visitors like? Consider also the psychology of your users before choosing the name of your site. Try to see how it could be your domain when your site is shared on social channels. This gives you a principle to be followed to facilitate the circulation of your content. Pay a visit to Facebook, Twitter and Google Plus and watch how the URLs shared are showed. Then with Google Chrome, make a double click and select “Inspect Element”. Then from there, change the address of the site that you are viewing and save the edit. Now you can study carefully what you see and choose the version that has a greater visual impact. 18. Dashes, Yes or No? Many have chosen a domain name with dashes and still were able to build big sites. Aha-Now or Entrepreneurs-Journey are examples of popular sites with dashes in their domain names, but their owners worked really hard to reach that level of popularity. I prefer domain names without dashes, but it’s up to you. 19. Numbers, Yes or No? I don’t see a problem when using numbers in the domain name. Just think about if is relevant to your brand and/or what your users expect to find. 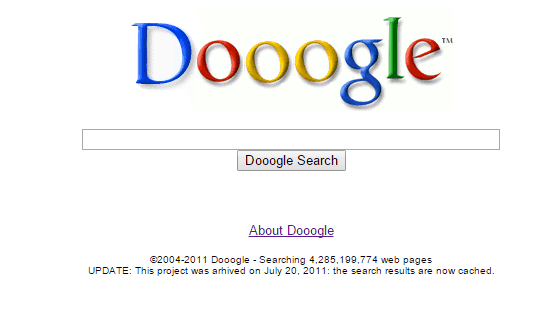 There are no restrictions or penalties from the search engines for those websites that use numbers. The search engines value more the older domains. Like the good wine, the more the domain ages the more is good. In the last 5 years, I have bought many domain names and I expect do purchase even more! Hopefully after reading this post, you will be able to get the perfect domain name (if still available!). I make a few mistakes in my blogging journey and if you’re smarter than me, you will save a few hundred dollars and go straight to the point buying a clear, explicit and memorable domain name. Any suggestions you’d like to add? I never bought domains like you, but this is a great guide to follow just in case I do. Speaking of domain name, when I first started blogging, I was advised to use my own name as a domain name. I did this for long term purposes such as people find me on search engines and plus I didn’t want to be known for just one product, one niche or one business opportunity. I wanted to be able to build a following so that wherever I go, my list will just follow me. This is the mindset I promote and I see it as a advantage. I guess it goes with the saying to not put all your eggs in one basket because you don’t know if it’s going to fall and break them all. Thanks for sharing these tips Erik! Have a good one! If you focus on selling “yourself”, increasing your reputation and authority, then I think building a site with your own name as domain is the perfect way to go. Last year, I registered my name too, after 4 years I started blogging. So far, it’s going pretty well! Thanks for taking the time to read and comment my post, Sherman. Agreed. As Erick, I am building my portfolio in a domain with my name, but I am also using my business name to explain my services, because I have a partner. Choosing the name and domain was a personal journey and I’m glad it worked, but I realize now that some of this rules must be followed for a more recognizable brand. If I change my brand I’ll loose my followers and that’s a bad thing. Now I am working on build a strong brand and attach it to my personal work and brand. Glad you confirmed my points, Mavia. Good luck with your site and business! A great reminder of what is important when getting a domain name. You have revealed some important factors. and things to avoid. Thanks for sharing this info. I will have to bookmark this for future reference. good to hear you liked the content. Thanks for bookmarking the page and for commenting! Thanks so much for the kind mention of my site – Aha!NOW. As I’ve already mentioned everywhere, I had no idea about the dashes in a domain name when I went for the buy. I really wish I didn’t go for the dashed domain name but then eventually it didn’t make much of a difference to me. But I did make sure that all other domains I bought did not have the dash in it. I’d add that its okay to go for the new emerging and not so popular domain extension if you do not get its matching or equivalent name in the popular TLD’s. You can go for .co or even .xyz , which is trending on top these days among the new ones (now Alphabet has made it more acceptable!). When it comes to the aspect of brand, if you really have a great site plan, you can go with a unique name to project as a brand from the beginning. Of course, that comes with its pros and cons and a share of risk about how people are going to take it (we see may weird names get popular!). But yes, its all about your site purpose, your audience, and your existing popularity also makes a difference in your domain name choosing plan. Also, its not possible for most people to buy all the variants of the domain. The corporate can afford that but it doesn’t really make sense for ordinary sites or small companies. Finally, you do make a good point of first checking out the names on the social networks. I didn’t do that when I choose aha-now.com, so I now ended up having different variations of the domain name on the various social networks. I guess all of this happens when you are a new blogger starting off, isn’t it?! it’s the perfect example of a domain name with dashes, which has become a popular site, built with efforts and dedication. I always support your work and your fantastic job. For some cases, I should go with a brandable name, for some others (as niche sites), I should stick with keywords in the domain name. I recently built a niche site that ranked #3 for its keywords in less than 4 months on Google. I was pretty satisfied with results! Thanks for taking the time to visit and comment my post, Harleena. Sure Erik, this is an invaluable guide. The choice or pick of a domain name influences how successful a website would become. This guide is on track and the details are very relevant. It becomes very important for new bloggers to apply these actionable tips and make a mark with their online business. The best of domain names are relevant, simple, direct, short and valuable for searchers. These 19 tips cover these features widely! Glad you took the time to check this guide, Sunday. The choice of the domain name is indeed the first and most important step, which is going to influence the future of your website success. Good guide to buy domain names. and a dedicated server with HostGator to host my sites. I have come to notice that picking a domain name that contains a keyword you are trying to rank for ranks fairly easy compared to any other domain names. This can be useful if you particularly writing a review of something. I have used this trick a couple of times to rank for certain keywords. I also prefer domains with no dashes or numbers. Glad you enjoyed the post, Avitus. From experience, I also found out that adding keywords within the domain name has helped me ranking my latest niche site within top 5 in Google U.S. in just 4 months. Of course, with a proper link building strategy. Thanks for sharing with us your tips. I wish I had of read this post before I started blogging. It has some very useful points. One night I came up with the title. I had been thinking about it for a long while. When someone else had it, I put a 0 at the end. I could not let go. However now when I talk to people I say the name of my blog and remind them that there is a zero at the end. So it really does require a bit of thought and jigging. I also wish I had something in the name that tells of my niche, but what is done is done and I do intend for the name of my blog to be recognised. I am not one for change in these areas, so I think I will have my name for many years to come. I kind of like it, but had I read a post like this before I started I definately would have rethought the name. yeah, you can build a brand around your site name, whatever is the title…Even with numbers, or dashes! But it will take time, as competition is still huge online. I’m glad you liked the post, and thanks for taking the time to visit and comment. When starting new website first thing is to choose a domain name which will describe about of your site. I always prefer to choose keyword rich domain because it’s an ranking factor. It will be better to choose Easy to spell, unique, attractive and small domain name. Thank you for your great tips to choose best domain name. Glad you confirmed the points included in the post, Yasin. Appreciate the visit and comment. You need to consider these 19 things before buying a domain name. These four are some that I believe very important and also helpful, but I’m not saying others are not. Let me add about extensions that use the best extension that best fit your brand, purpose and goal. And yes, purchasing a domain name is indeed the first and most important step, when building a new website. Could anyone please tell me which domain registration company sell cheap domain. Nice article, I especially like #1. Many new domainers either don’t know about or aren’t well educated enough about Trademarks and how they apply to domains. That’s why we see so many that pop up in the marketplace here. I think by just taking a minute to check for TM’s before any purchase or reg, someone can save a future headache. As far as checking for a blacklisted domain, BannedCheck(. )com is in no way anywhere near reliable. I personally have bought domains over the last few years and I always check them through a variety of sites, and this one as well just for kicks. I have bought domains (usually part of a portfolio) that it said were clean and they weren’t and domains that it said were not but were. I would suggest that people do not trust this site as from personal experience it has been wrong just about as much as it has been right. Do many searches on blacklist checking sites, not just one and especially this one. Thanks for sharing your experience and nice tips, Barakha. I use GoDaddy auctions for buying old domain names. I found some amazing offers, since when I use their service. I won a few auctions and they were all good investments. It’s a 43, Pa 53, with 2500 backlinks, according to Alexa.